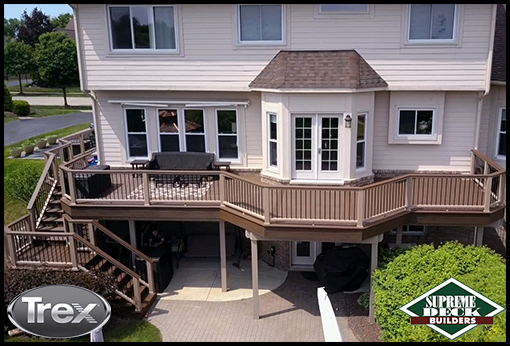 Supreme Deck, Bloomfield Hills, Michigan premier deck builder and TrexPro Platinum contractor, has been providing homeowners with exceptional services and products since 1991. We are a full service deck company for Bloomfield Hills, Michigan (MI) that includes deck building, construction, deck repair, deck cleaning, and Trex deck installations. 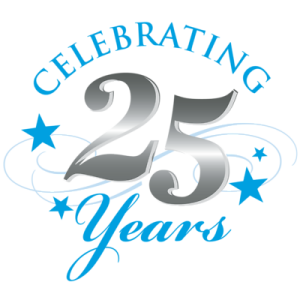 Our experienced crews have pleased countless customers by transforming their backyard outdoor living space with our custom wood and composite decks, gazebos and sun rooms. Every home deserves to live up to its potential and we are the deck builder of choice stepping up to meet this challenge. Each project is unique. Together with the homeowner, we will design a deck or outdoor structure that will bring you satisfaction for years to come. 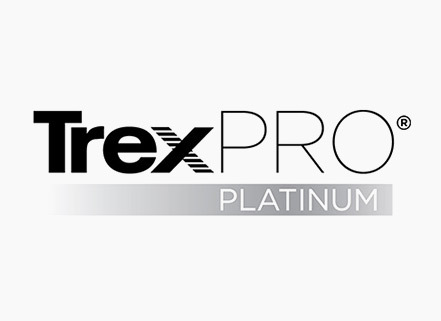 Supreme Deck building & construction offers a wide choice of building materials that we are able to offer including Trex, Azek, and TimberTech. Our commitment to furnish the highest quality at the most affordable price is still there after all of these years. Homeowners are fast picking up on the growing popularity of home improvements, including no maintenance decking. Decks are one of the ideal home additions to add additional square footage to the home. Aside from this, there is the effective elimination of disorganized indoor surroundings since most play and fun activities are implemented outdoors. 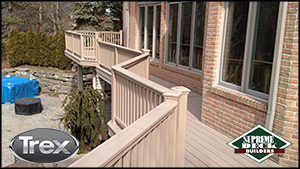 In Bloomfield Hills, Michigan we build great decks for less and for less than our competition. There are many general contractors and even more "construction companies" out there for Bloomfield Hills, Michigan, but none can provide the single focus on your backyard the way we can. We don't do kitchens, bathrooms or any interior work. We don't believe in the "Jack of all Trades" concept. Searching for deck builders near me? We are one of Michigan's best deck builders. We believe in specializing in one trade. We have the ability to build a custom deck for you and to make sure it gets cleaned and sealed properly. You do not have to hire one company to build your deck and another to clean and stain it. We offer a showroom in Livonia with displays for wood and composite materials to help you with your decision. Looking for reviews on Supreme Deck? It is always best to check out the web site of the decking material that is being used for true reviews. Bloomfield Hills, Michigan deck building, construction, repairs and restoration. 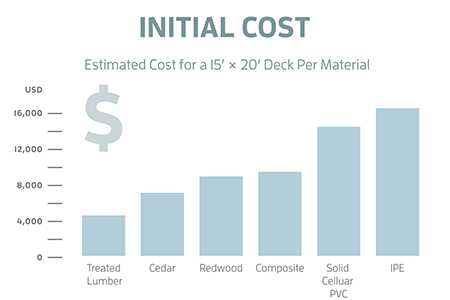 Spring tends to be the busiest season for deck construction. Bloomfield Hills, Michigan homeowners are excited to finally end their hibernation indoors and start living outside again. The cold Bloomfield Hills, Michigan weather yields to the warmer, and everyone starts thinking the same thing - "Let’s move our lives outdoors again!" Our phones at the office start ringing off the hook, which is a wonderful problem to have, but this often results in longer wait times for our customers. The lead time tends to be longer as the schedule fills up quickly. In the fall, most Bloomfield Hills, Michigan homeowners are mentally shifting gears to start spending time indoors once again. One advantage to building your deck in the fall is that you will have your project completed a lot sooner than in the spring or summer. There is a shorter wait time for each project. Plus, once winter passes, your deck will be ready to be used as soon as the first warm spring day arrives. Instead of beginning the project at this point, it'll already be completed and you'll be able to focus on landscaping and furnishing your new outdoor area. As this couple neared retirement, one of their concerns was the constant maintenance their deck required. They had an existing deck that seemed structurally sound, but the cedar decking and railing was now showing signs of wear and tear. The sun's UV rays had done their damage over the years and the grain was starting to lift in many areas. Located in Bloomfield Hills, Michigan , this deck had been punished by the winters and moisture and was also showing signs of decay in certain areas. Having used the deck often, the couple liked the layout and size of this deck. It was only 15 years old and was well designed to flow with the house and backyard. During our first consultation we determined that the deck was structurally sound and would be a good candidate for area resurfacing. They wanted to add a little area by the staircase that would lead to the patio - other than that the original deck design stayed the same. 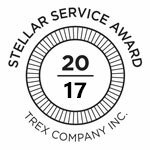 This time around the couple decided that they would invest in a Trex Transcends low-maintenance deck. Since one of their primary goals was to prepare their backyard for retirement, low maintenance decking was the natural choice. We striped down all the decking, railings, and fascia, and the composite decking was installed with hidden fasteners, our standard installation, for a smooth and seamless look. For safety and mood lighting they added a low-voltage lighting package that finished this deck off with a glow. It was an incredible transformation from a solid, old deck that was not being used, to a new, revived structure that became the main hub of summer weekends. Searching for deck builders near Bloomfield Hills, Michigan (MI) or searching for great decks for less in Bloomfield Hills, Michigan (MI). You found the best deck builder in Michigan. We give free estimates in Bloomfield Hills, Michigan (MI). Contact us today.